As children, many of us probably sang the song, “Here We Go Round the Mulberry Bush,” but unless you grew up in or near the state of Texas, most likely you’ve never actually seen a mulberry in bush form. For most of the eastern part of the United States--especially the Ohio Valley--the mulberry is not a bush, but a tree, and it is well loved by people and animals for its juicy fruit and lovely spreading form. Three types of mulberry trees are common to the United States--the red mulberry, the white mulberry and the Texas mulberry. While the red and Texas mulberries are native to the United States, the white mulberry was imported from China. Of the three, the red mulberry tends to grow the tallest, reaching as tall as 60 feet, while the white mulberry tree may reach 40 feet. The Texas mulberry can be found in both bush form, growing roughly 6 to 12 feet or in tree form, but rarely reaches above 25 feet in height. 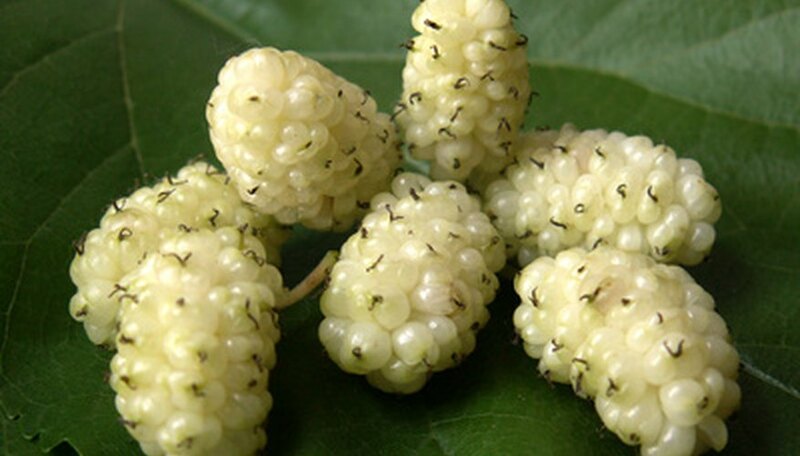 The red and white mulberries tend to be more dominant in the eastern part of the United States and prefer moist conditions, especially in valleys, low hillsides and floodplains. While the Texas mulberry may be found in canyons and beside creeks in the southwest (most often West Texas), it prefers dry, well-drained soil. 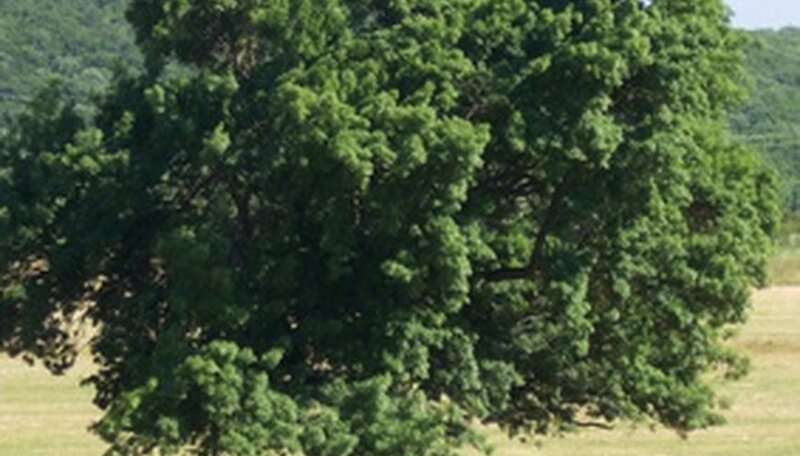 Red and white mulberry trees need room to grow as they tend to have dense spreading crowns, though the red mulberry tree does have a more open appearance on average than a white mulberry. 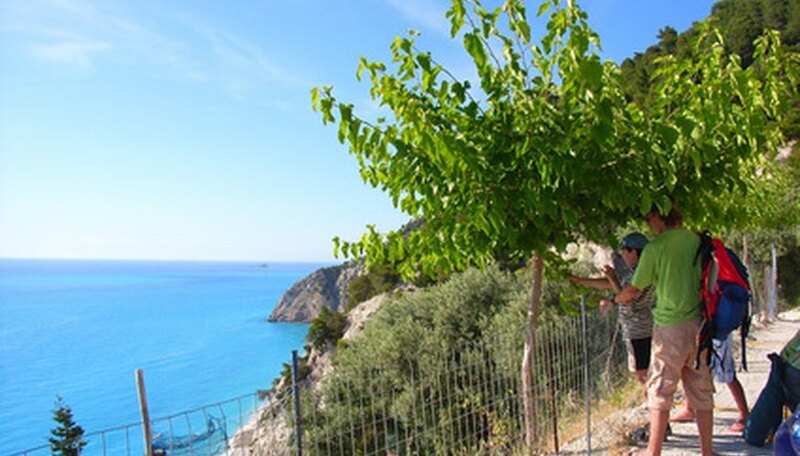 All three mulberries usually are wider than they are tall and have relatively short trunks. Mulberries possess a beautiful brown bark that develops in vertical ridges or fissures. These fissures can be tinged red or dark orange, and the bark can appear scaly as well. The leaves will be dark green and very shiny, but unlike many trees, mulberries are polymorphic, meaning a single tree will usually have three different shapes of leaves, including the traditional oval, a mitten shape and a multi-lobed shape. Regardless of the shape, all mulberry leaves are serrated and grow in an alternate pattern upon their stems. In the spring, mulberries produce delicious juicy fruit that is especially loved by birds. The fruit of all three types resembles the blackberry in appearance. 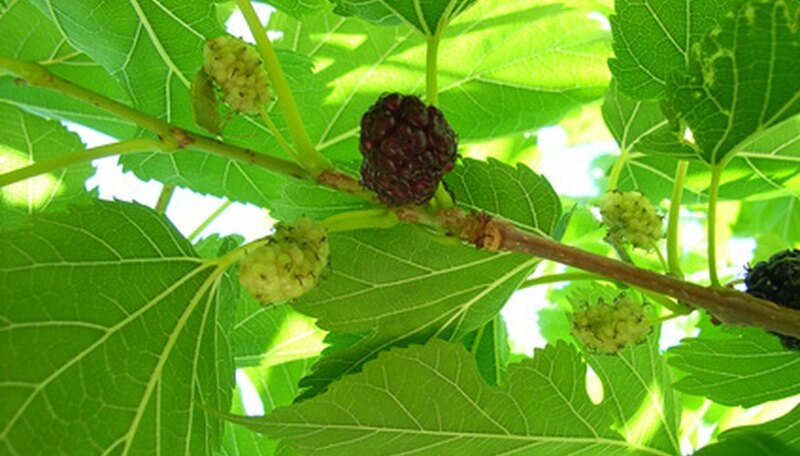 Red and Texas mulberries develop young green fruits that ripen to a dark reddish black or purple. As if to confuse matters, the white mulberry ripens to a pale whitish green color, but may actually be purple during its unripe phase. Red mulberries, on average, ripen before white mulberries.